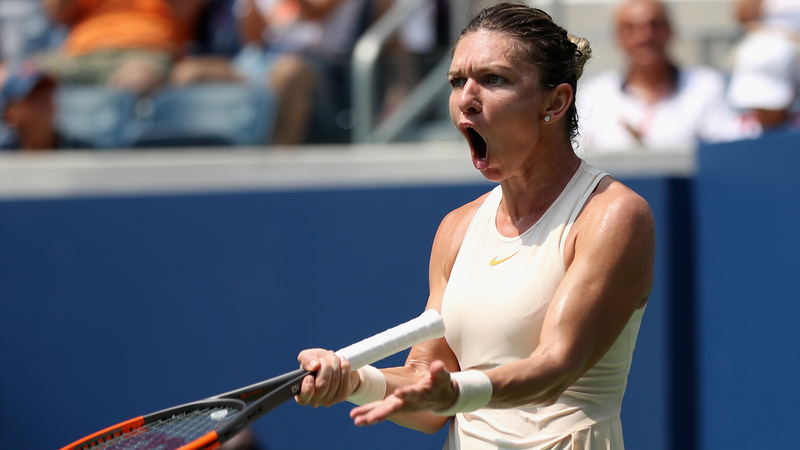 French Open champion Simona Halep has pulled out of the Kremlin Cup with a back injury, casting further doubt on her participation in the WTA Finals. The world No. 1 recently revealed that she had been diagnosed with a herniated disk after struggling with an issue at the Wuhan Open and then the China Open. Halep offered an update Monday, as she was named the year-end No. 1 for the second successive year, admitting she had not yet trained “100 percent” just 48 hours before her scheduled Moscow opener against Anastasia Pavlyuchenkova. And the Romanian has now confirmed that she has had to withdraw from the tournament, with her place in Singapore uncertain given she stated it would be “very doubtful” she could miss the Kremlin Cup and then feature in the Finals. Posting on her Twitter page, Halep wrote: “I really wanted to play here in Moscow, but unfortunately my back is still causing me pain and I don’t want to take any unnecessary risks. I really wanted to play here in Moscow, but unfortunately my back is still causing me pain and I don’t want to take any unnecessary risks. The WTA Finals begin next week, with the qualifying berths finalized in Moscow.